NOVA FORMWORK SYSTEM is the INDIA’s first plastic modular formwork system introduced by NOVA Group 6 years back and with its continuous research and development is improving its product everyday with many new innovations and observations. The product has excellent resistance, rigidity , impact and lightness. We Are Leading Manufacturer Of Plastic Formwork System In India. Nova formwork System has already been used in all types of construction like pile caps, foundations, rafts, columns, shear walls, retaining walls, walls, slab, beam, monolithic formwork etc. It is the best system for casting cast in situ cellular low weight concrete walls and has been adopted by LNT in their projects for inner walls in Gurgaon and also by some other contractors in Lucknow. The slab system is with the drop head system with cup locks where u can achieve slab cycles of 4-5 days as well. Now slab plates also available with plastic steel combination. Nova is open to association with companies for its rental and sale in different cities who have a local presence in construction field in that city. We Are The Leading Manufacturer Of Plastic Formwork In India . 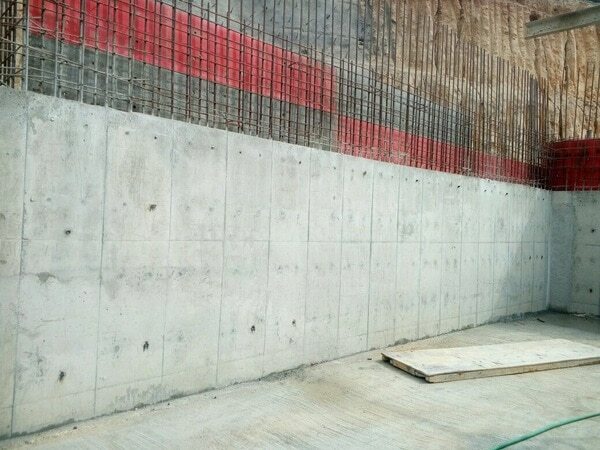 Nova Formwork Panels come in various sizes.The panels can be fixed and attached with each other with the help of the locking wedges and pins which is of the exact size and this fits into the panels exactly and there is no gap between the panels when locked. The locks help the various panels to join together and make it a single panel as the panels lock very well and there is no leakage of concrete from in between the panels. While making the walls, these panels are attached in two lines having the face of the panels parallel to each other in such a way that the panel tie rod holes match one another and by using aligner/wallers the tie rods can be reduced and with the help of spacers have a exact distance between the two panels as of the size of the walls. It has already been used in all types of construction like pile caps, foundations, rafts, columns, shear walls, retaining walls, walls, slab, beam, monolithic formwork etc. It is the best system for casting cast in situ cellular low weight concrete walls and has been adopted by LNT in their projects for inner walls in Gurgaon and also by some other contractors in Lucknow. The slab system is with the drop head system with cup locks where slab cycles of 4-5 days can be achieved . Now slab plates are also available with plastic steel combination. We Are Leading Manufacturer Of Plastic Modular Shuttering and Formwork System In India.